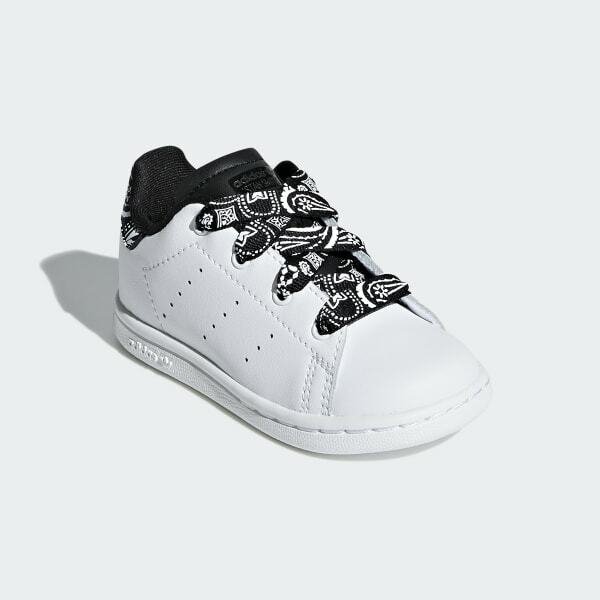 Infants' Stan Smith shoes with paisley-print details inspired by bandanas. Since 1972, the Stan Smith has defined the crisp look of classic tennis style. 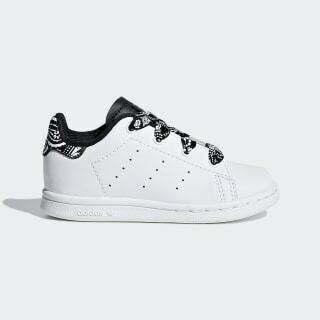 These infants' leather shoes give a modern edge to the clean lines with a contrast tongue and a bandana-inspired paisley print on the heel patch and laces.